19.03.2019. 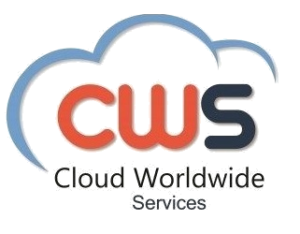 Madrid – Cloud Worldwide Services (CWS) is proud to announce that our Recordia solution is now available in the AppDirect Marketplace. Recordia is a disruptive solution for recording interactions, able to capture, encrypt, record, and exploit data in the Cloud, with maximum information security. Recordia is quickly becoming a reference in Customer Information Completeness, that is increasingly cited as a business concern due to recent regulations such as MiFID II and GDPR. Recordia seamlessly integrates with most commonly used CRMs such as Microsoft Dynamics and Salesforce. AppDirect is an end-to-end commerce platform that helps deliver any digital service, on any device, and accelerate time to market. Through its platform AppDirect helps simplify the supply chain between channels, developers, and customers by enabling the onboarding and sale of products with third-party services for any channel and on any device. AppDirect helps organizations, including Jaguar Land Rover, Comcast, ADP, and Deutsche Telekom connect their customers to the solutions they need to reach their full potential in the digital economy. You can find Recordia in the AppDirect Marketplace by searching “Recordia”, or “call recording” and similar keywords or by clicking here.